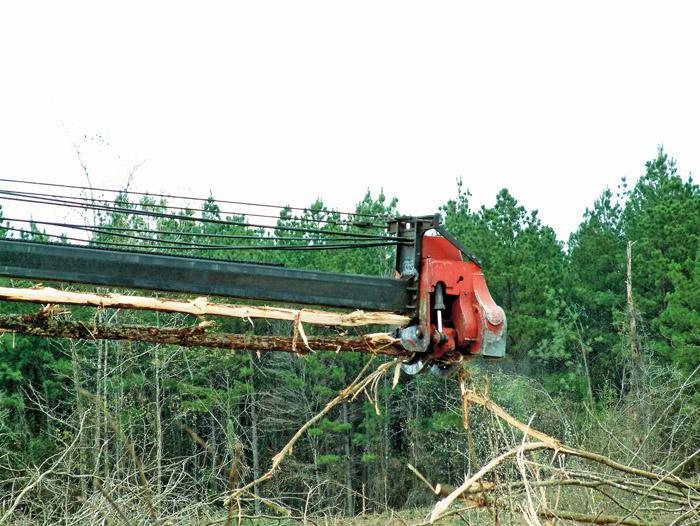 Southern Loggin’ Times’ June issue spotlights South Carolina’s Hutto Logging, where owner Tommy Hutto knows that his dedicated crew is the true element that makes his logging company successful. 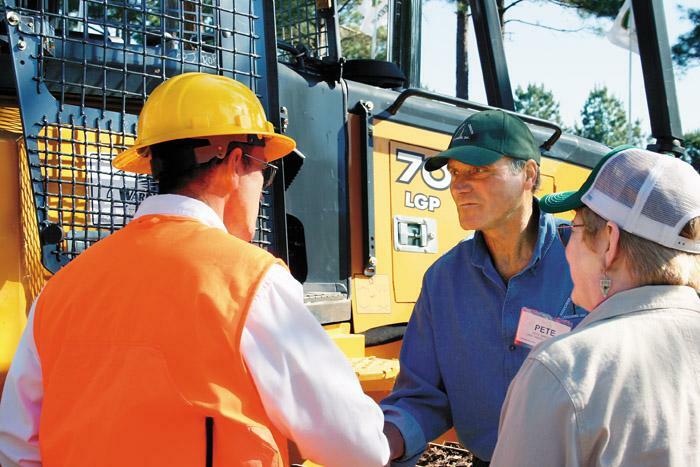 Also featured are La.’s Mickey Hawkins, owner of Michael L. Hawkins Logging, Inc. and a veteran logger who bought a chip mill and adjusted logging operations to supply the facility, and Ga.’s Lott’s Logging, where logger Kyle Lott participated in a University of Georgia study analyzing feasibility in converting non-merchantable wood to fuel. 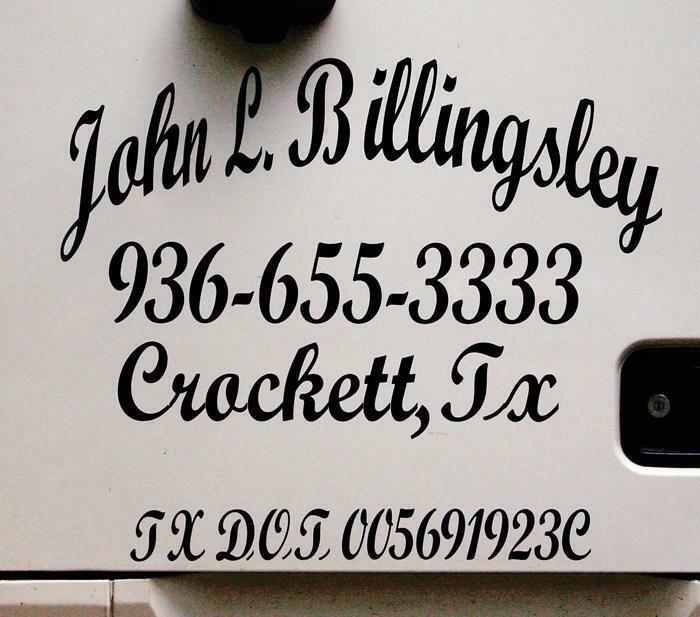 Texas’s Billingsley Timber is highlighted for its young owner, John Billingsley, who is poised to be a major player in the logging industry. The issue provides a recap of Arkansas’ second In-Woods Expo. 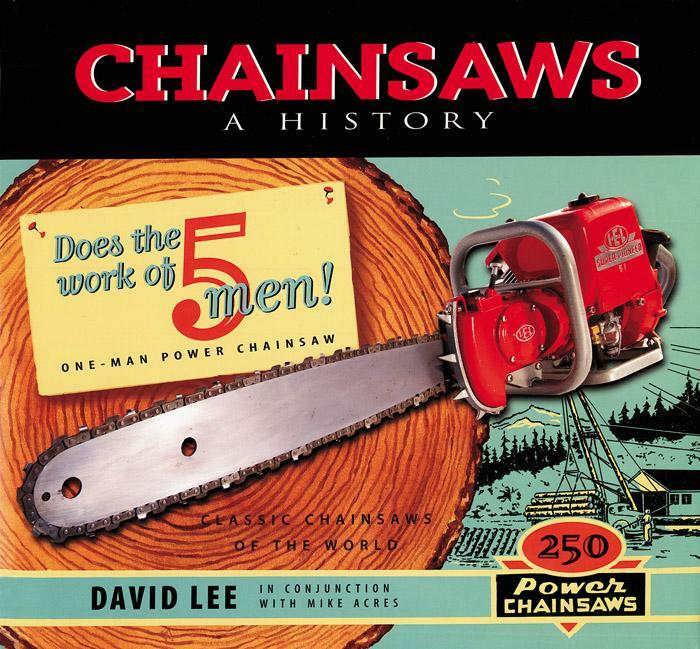 Continue reading Chainsaws: A History with the next excerpt. Last November, Mickey Hawkins, owner of Michael L. Hawkins Logging, Inc., ventured into uncharted waters when he partnered with fellow logger Travis Taylor to buy a chip mill. 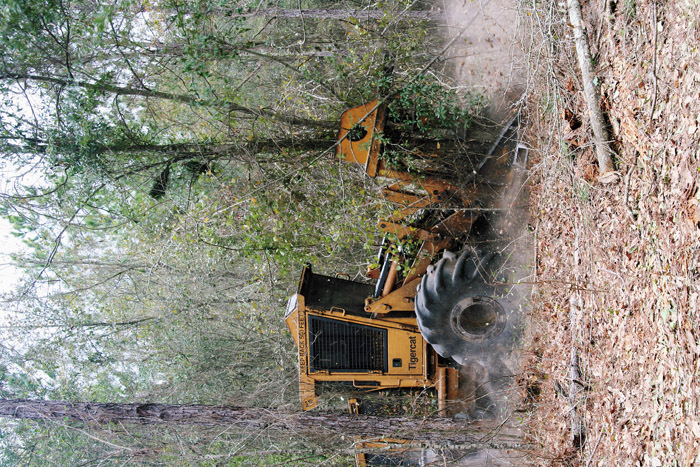 Participating in a University of Georgia (UGA) study, Kyle Lott has implemented a Dynamic Cone-Head chipper Model 570 into his conventional logging operation. It’s almost become a cliché in the logging industry: there are few young loggers stepping up to fill the gap left by their older counterparts as previous generations quit, retire, or die. In the absence of both the Richmond and Starkville shows this year, the Arkansas Timber Producers Assn. (ATPA) and the Forest Resources Assn. (FRA) partnered again to host its second In-Woods Expo near Hot Springs, Ark. April 26-28. Usually fires of the West Coast bring images of hillsides ablaze and trees exploding into flame on the news. 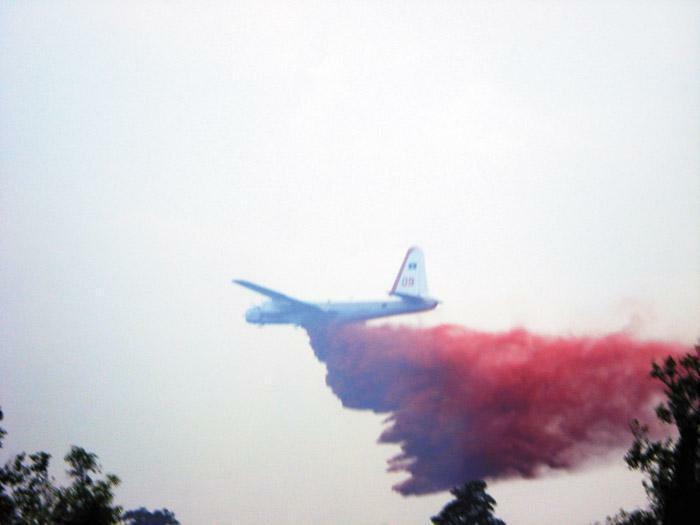 This year, southern wildfires are garnering almost as much attention and it’s caught folks in Georgia and Florida off guard, causing evacuations and mobilizing hundreds in the forest community to deal with the present and future issues the fires will bring. In addition to building the official saw of World War II for U.S. Army Engineers, Disston also made saws for “the civilian market” with bars as long as 84 inches. In 1948 the company had a banner year, introducing not only an automatic chain oiler, but also the fruition of a project they had been secretly developing since the end of the war—their one-man DO-100 that with an 18-inch bar weighed only 37 pounds. 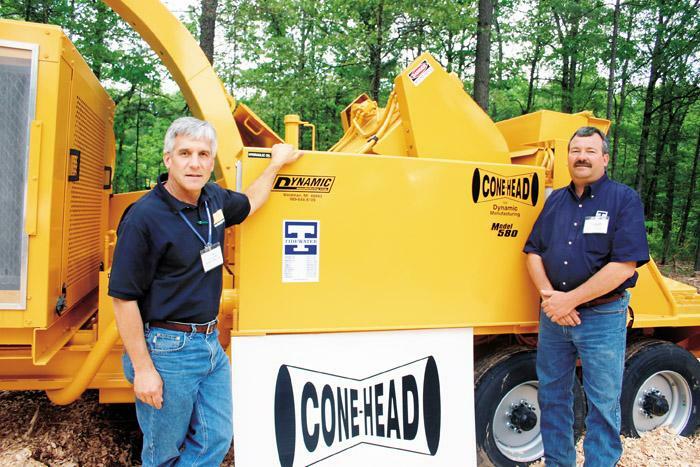 Tidewater Equipment Co., based in Brunswick, Ga., continues to expand its territory, moving into Alabama last fall after setting up shop in Arkansas last June. It now does business in six states. 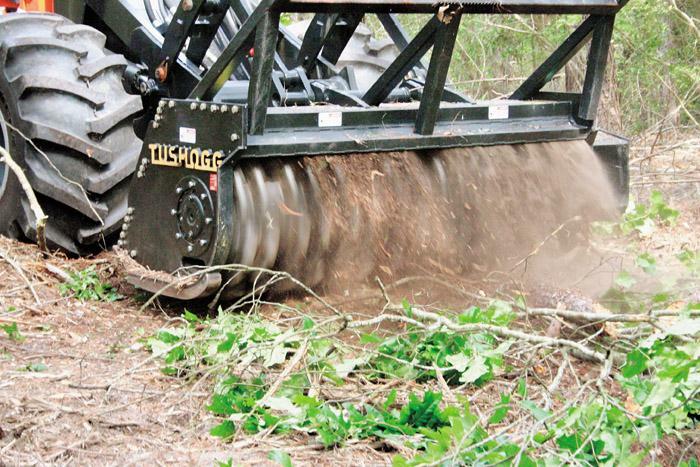 Texas Timberjack’s Tushogg is a heavy duty land clearing attachment designed for mulching trees and brush. 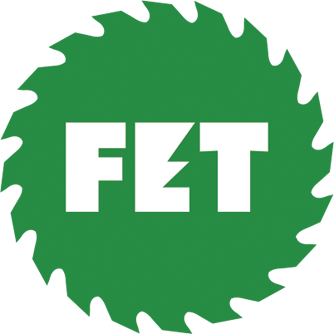 Applications include no-burn land clearing, stump grinding, right-of-way maintenance, forest undergrowth management, wild fire protection and prevention, asphalt reduction and mesquite suppression.